The rallying cry of non-profits, corporations, and sports teams, these three words have been used as fodder for political campaigns, beer advertisements, and the promotion of religious ideologies. Today—especially in North America’s fraught political climate—movement-building can often feel more like an exercise in branding than of banding together. But just because an idea becomes cliché, co-opted, or capitalized upon, doesn’t take away from its inherent power and importance. Movement “fatigue” is of little consequence when held up against the awesome impact that social justice and anti-war movements, from abolitionists to AIDS activists, have had for basic human rights. Of course, it’s not always easy to hold those truths. I often fight my own tendency to slide toward the belief that change is impossible. I was introduced to Partners In Health in 2012 when a like-minded colleague handed me a copy of Mountains Beyond Mountains. At the time, I was disenchanted with the emerging wave of armchair advocacy that felt increasingly more slacktivist than activist. Once I finished the book—which I loved—I took a good hard look at myself and realized that if I was going to be accusing anyone of slacktivism, I’d better not do it from the comfort of my own armchair. Tracy Kidder, the book’s author and narrator, remarks that, “among a coward’s weapons, cynicism is the nastiest of all.” I felt it as a rebuke, but one that offered me enough perspective and humility to be of use. In this, I know I’m not alone. The United Nations marks today, February 20th, World Day of Social Justice. From day one, Partners In Health has championed a social justice approach to health. What this means is that while we work to bring the benefits of modern medical science to some of the world’s most remote and vulnerable communities, we do not consider it “charity”. We are not being generous or altruistic. We do it as a matter of fundamental human rights and in solidarity with those we serve. We know from experience (and common sense) that no one can do this work alone, which is why our ‘partners’ lead both our name and our mission. We also believe that the responsibility of building a better world does not rest on the backs of health care professionals. If we have any hope of reducing suffering and promoting equity, we all—from students and retirees to skilled labourers and artists—have a role to play. for PIH Canada through Plus 1. When Arcade Fire began donating one dollar from every concert ticket sold to Partners In Health, they were acting in the spirit of social justice. About a decade later, when Arcade Fire’s former violist and PIH Canada Board member Marika Shaw founded Plus 1, an organization whose mission is to bring more bands into the fight for social justice, she opened the door to a movement. Thanks to Marika’s resolve, by the time Canadian rock darlings Arkells signed up, they were joining a cadre of musicians who were supporting their own causes through the Plus 1 model. 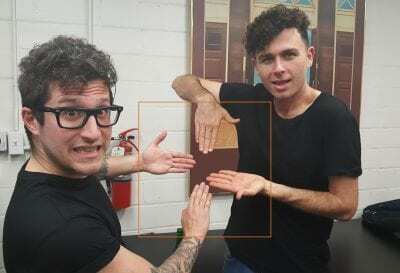 Far from being lone crusaders in the fight for justice, the Arkells were adding their unique experiences, voices, and fan base to something that already felt special. And by extension, every one of their fans, just by purchasing a ticket, joined their favourite band in something much bigger than a single concert. Today, at every show, the Arkells use their platform as a megaphone for Plus 1 and the movement for social justice. From stages across North America, they tell their fans about Partners In Health and the importance of global health equity. With this act, they are amplifying the work already started by the Students for Partners In Health Canada network, an army of university students who have been spreading the word about the social justice approach to health on campuses across Canada since 2012. PIH co-founder Dr. Paul Farmer has long insisted that “the goal of preventing human suffering must be linked to the task of bringing others, many others, into a movement for basic rights.” To this day, we're working on doing just that. It’s been five years since I read Mountains Beyond Mountains and three since I began working for Partners In Health Canada, and there are still times that I feel overwhelmed. The magnitude of the work that PIH is engaged in, along with our many partners,—a world in which no one dies a needless death—is daunting. And I think it’s okay to feel weary; it is an enormous task. But it’s also important to remember that the consequences of withdrawing from the fight looks different depending on where you’re situated. I could go back to my armchair, sure. But for people that we’re fighting alongside, that has never been an option. To everyone engaged in this fight, no matter where you are: we are so deeply grateful and awed by your decision to step up and speak out against injustice; whether to a lecture hall of classmates, a stadium full of screaming fans, or with a simple conversation about social justice, the rejection of cynicism, and the power of working together as partners.